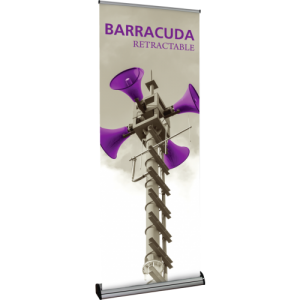 Retractable Banner Stands have a wide range of uses from trade shows and conferences to retail stores and presentations. These displays were built to be portable! Setting up these displays required no tools and can be done in under 30 seconds by one person. 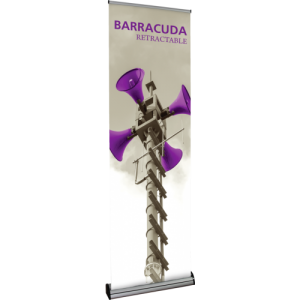 Retractable banner is perfect for any environment where people pass by from various directions.Graphics can be changed allowing the same hardware to be used for multiple events. They also include a durable carrying case for transport. This banner display is lightweight, which means a reduction in assembly time, reduced transport costs, easy handling on site. A Single Sided Premium Retractable stands allow you to take your presentation materials with you anywhere you need to be. With only one person required for set-up, you can have an impressive advertising tool in seconds. Simply pull the high-quality printed banner upwards from the base and attach to the vertical support bar to display.